NASA and NOAA are teaming up again to send NASA’s remotely piloted Global Hawk out over the Pacific to take a closer look at storms brewed by this year’s strong El Niño. The observation flights are part of an ongoing NOAA mission, called Sensing Hazards with Operational Unmanned Technology. 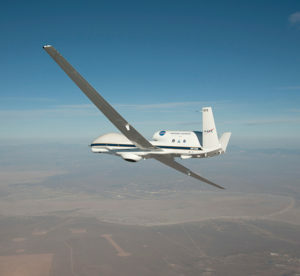 Based from NASA’s Armstrong Flight Research Center in Edwards, Calif.,, the Global Hawk will fly four to six 24-hour flights during the month of February. The mission will provide detailed meteorological measurements from a region in the Pacific that is known to be particularly critical for interactions linked to West Coast storms and rainfall. SHOUT is a multi-year NOAA project, designed to demonstrate the use of autonomous aircraft to fill in data gaps for weather modeling systems in case the loss of a polar-orbiting satellite occurs. This year SHOUT will support NOAA’s larger El Niño Rapid Response Field Campaign. In addition to the Global Hawk, NOAA will also deploy a Gulfstream IV research plane and NOAA Ship Ronald H. Brown that will have researchers stationed on Kiritimati (Christmas) Island in the Republic of Kiribati, approximately 1,340 miles south of Honolulu. Together, scientists will collect atmospheric data from the tropical Pacific where El Niño-driven weather systems are spawned. 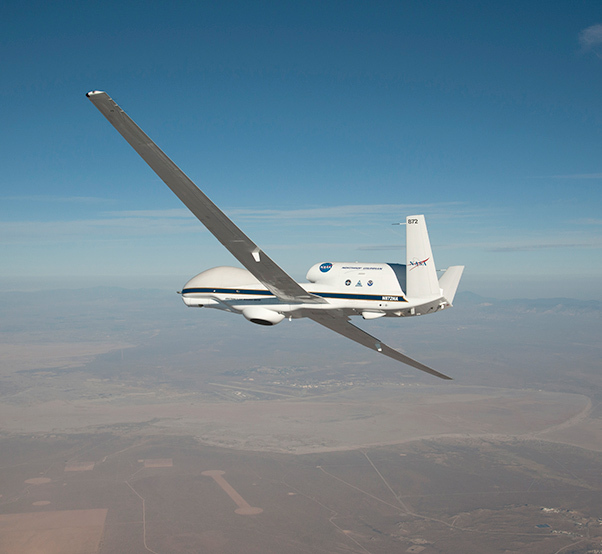 NASA’s remotely piloted Global Hawk aircraft will complete a series of flights in February to support the National Oceanic and Atmospheric Administration’s (NOAA) El Niño Rapid Response Field Campaign. 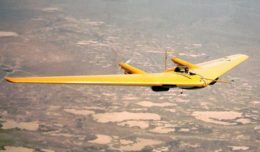 The mission, called Sensing Hazards Operational Unmanned Technology or SHOUT, will focus on gathering El Niño storm data out over the Pacific Ocean. El Niño is a recurring climate phenomenon, characterized by unusually warm ocean temperatures in the equatorial Pacific, which increases the odds for warm and dry winters across the Northern United States and cool, wet winters across the South. El Niño is the warm phase of the ocean cycle known as El Niño-Southern Oscillation, or ENSO for short. La Niña is the cool phase. The pattern can shift back and forth every two to seven years, disrupting weather patterns across the globe. 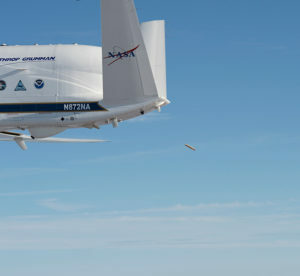 The Global Hawk aircraft offers NASA and NOAA scientists a unique vantage point to observe atmospheric conditions with its ability to fly at 65,000 feet and for periods of up to 30 hours. These long-endurance and high-altitude observations give NOAA scientists the opportunity to see a larger picture of how atmospheric changes in the tropics are directly impacting weather activity in the Western U.S.
“The Global Hawk provides amazing capability in its ability to be airborne for 24-hours or more. With the aircraft’s long-endurance we can sample a large range of the ocean, much like a satellite does but in much greater detail,” says Gary Wick, lead NOAA scientist for the SHOUT mission. The aircraft will carry a suite of four instruments including a dropsonde system called the Airborne Vertical Atmospheric Profiling System, or AVAPS. The dropsondes, small tube-shaped sensors, are deployed from the aircraft in-flight and transmit real-time data on air temperature, humidity, and wind speed. The High Altitude Imaging Wind and Rain Airborne Profiler (HIWRAP) instrument, operated and managed by NASA’s Goddard Space Flight Center and the High Altitude MMIC Sounding Radiometer (HAMSR) instrument, managed by NASA’s Jet Propulsion Laboratory, will collect remote observations of the area, producing data similar to satellite observations. The final instrument, NOAA-O3, will measure ozone at the level of the aircraft is located.